This year's free one-day and two-day workshops are taking place throughout New Zealand from June to August 2017. At least 30 workshops are planned, including 5 Kaupapa Māori film-making workshops and also new Pasifika-focused workshops. 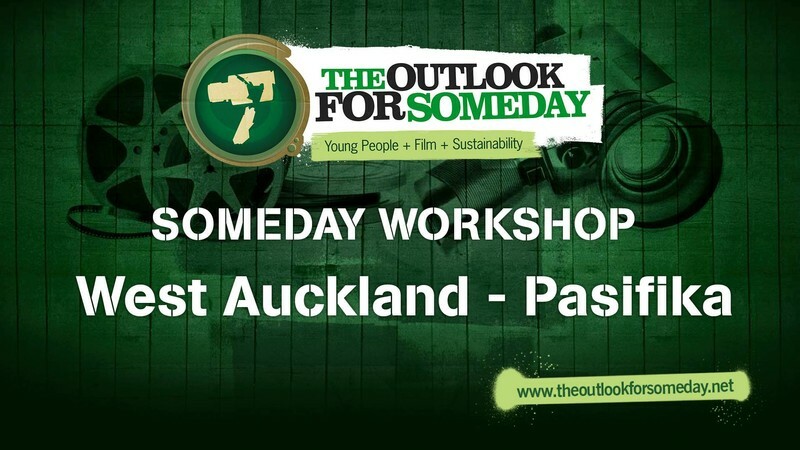 The workshops are open to young people from school years 7 to 13 (age 11 to 18), as well as teachers and youth workers who want to engage with The Outlook for Someday as a vehicle for sustainability film-making. All participants will make short films and screen them at the end of the day. Each participant will also have an opportunity to develop their own story idea - one that is meaningful to them and which they could then turn into a film as an entry to the Someday Challenge. Last year half of the winning films in the film challenge were made by people who had been to workshops. Spaces for each workshop are limited to 25 participants. Young people, teachers and youth workers are invited to register for a workshop in their area by using the registration form. Please register if you are a teacher or youth worker planning to accompany younger participants - so we know to expect you and can contact you beforehand if necessary. And please contact us prior to registering if you are considering registering a group of more than 5 students.